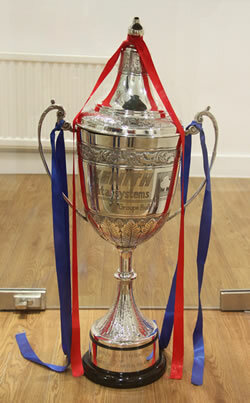 The Full Members Cup was an association football cup competition held from 1985 to 1992. It was also known under its sponsored names of the Simod Cup from 1987 to 1989 and the Zenith Data Systems Cup from 1989 to 1992. The competition was created after the 1985 Heysel Stadium disaster, when English clubs were banned from European competition, as an additional competition for clubs in the top two English League divisions. The competition's name refers to the clubs that were Full Members of the Football League, with full voting rights; teams from the lower two divisions were Associate Members and were only eligible for the Football League Trophy (then known as the Associate Members Cup). The initial Full Members Cup did not include the six teams that had qualified for 1985-86 European competitions, as these played in the English Super Cup instead. While the European ban of English clubs was partially lifted for 1990-91, and fully lifted for 1991-92, the Full Members Cup survived through the end of 1991-92, its seventh season. The competition was cancelled when the old Football League First Division became the Premier League. For details of the Full Members Cup final results click here. For details of each season's results or your club's Full Members results click here. For details of Full Members Cup semi-final appearances click here.